Our ICA Representative and Team Leader in Pakistan is Jamshaid Iqbal Jay. Although Jamshaid is an IT engineer, he prefers to promote the opportunities of youth for better education and future. 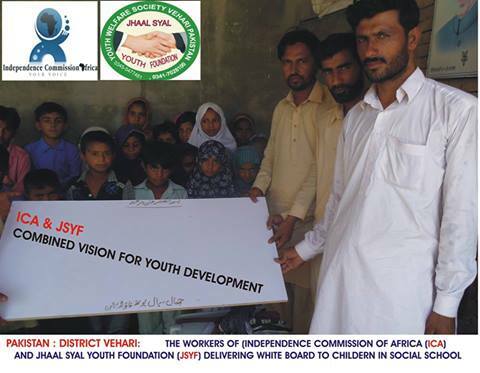 As president of the Jhaal Syal Youth Foundation, Jamshaid works alongside more than 100 members as a youth welfare society. Together they assist poor students to be able to participate in education and sports activities. Jamshaid is very involved with the communities on ground level, uplifting the needy on a day to day basis.